As a homeowner, you want your indoor temperature to remain at a comfortable level, and you are likely paying a high price every month to keep your air condition system running. Several factors contribute to your home’s warm interior, but the most significant one is having a high temperature in your attic. This is the result of the sun’s radiation energy that heats the surface of your roof. There are, in essence, two things that you can do to reduce the heat that radiates into your home from your attic. You can install attic installation, or you can install energy-efficient shingles on your roof. Like certain types of home appliances, energy-efficient shingles can earn the ENERGY STAR badge from the United States Department of Energy. There are several types of energy efficient roofing materials that will be sufficient for Indianapolis’s climate. Metal roofing is widely regarded as the best choice for energy-efficiency, style, and range of color choices. Metal is also one of the most affordable options since it has low maintenance requirements and is easy to install. There are primarily two styles of metal roofing: metal panels and metal tile. Metal tiles are manufactured shingles that have popular designs while metal panels are large roofing sheets. Tile roofing’s energy efficiency lies with its thermal qualities rather than its reflective capabilities. Certain types of concrete or ceramic tiles, however, have higher reflective abilities than conventional asphalt shingles. Since tiles are installed individually, there is a space between them that allows for natural airflow that acts as a barrier to heat between the outside and the inside of the roof. With composite and asphalt shingles that are energy rated, the level of energy efficiency has to do with the color of the shingles. Dark asphalt and composite and asphalt shingles typically don’t have an ENERGY STAR rating. 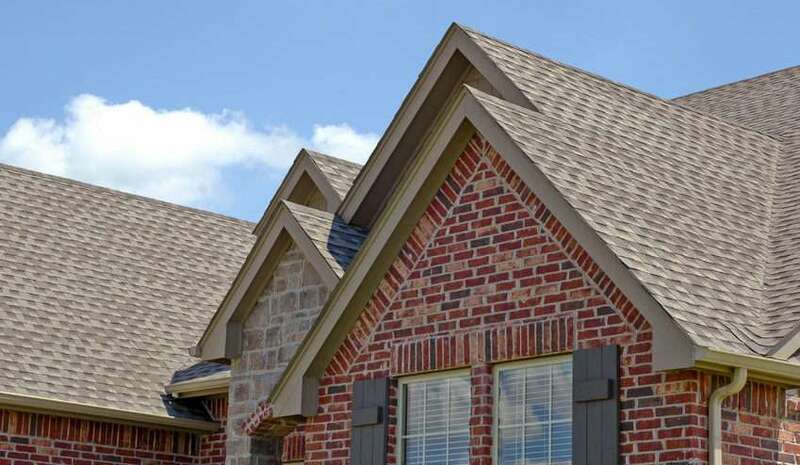 If you prefer asphalt or composite shingles, but don’t want to forgo the reflective properties, you have to choose from medium brown or grey tones. The most significant reason to go to the trouble of installing energy efficient shingles is that they will help you cut costs. Since less heat is radiated from your roof into your attic, your home’s interior will be cooler. It will take the strain off your ductless air conditioner, so it won’t run as much. According to the United States Department of Energy, energy-efficient shingles can save up to 15% of the power you use to cool down your home. This percentage may not sound like much, but over the long run, you will start to see a return on your investment. The sun’s heat can have a detrimental effect on your roof. Because energy efficient shingles are less affected by the sun’s heat than conventional shingles, they tend to last for longer than regular shingles. You will only have to replace your roof every thirty years. Some energy efficient roofing projects qualify you for a federal tax credit of up to 30%. Consult with your tax professional to find out if you are eligible. There are many different energy efficient roofing solutions available. Deciding to install energy efficient roofing is an easy choice. Upon making the decision, you have to know your specific needs, weigh your options against each other, and have your energy efficient shingles expertly installed. If you are a layperson with no roofing knowledge, going through the entire process can be challenging. The good news is that M&J Roofing and Exteriors specializes in the installation of “cool roof’ technology for residential and commercial owners in Indianapolis. We can provide you with a wide range of energy efficient roofing solutions, from shingles with reflective granules to reflective metal sheeting. As part of our installation services, we also carry out an energy audit and take your style, your home’s surroundings, and budget into account to help you explore the different energy efficient roofing options that you have available. After helping you decide on an energy efficient shingle, the next step is installation. Improper installation can result in a shorter lifespan, leaks, and sub-optimal energy efficiency. To prevent these issues, M&J Roofing and Exteriors goes to great lengths to ensure that we install your energy efficient shingles correctly and in accordance with the United States Department of Energy recommendations and relevant building codes. As part of our services, M&J Roofing and Exteriors also offers extensive roofing repair and maintenance solutions. As the owner of a brand-new energy efficient roof, you will want the best possible maintenance routine in place. We recommend that you inspect your roof at least twice per year to check for leaks, moisture accumulation, and other forms of damage. Regular inspection will allow you to remedy potential issues before they result in damage, costs, and suboptimal energy efficiency. Installing energy efficient shingles can be a daunting prospect. The cost and inconvenience of a roof replacement can cause many property owners to postpone the project indefinitely. You may also be overwhelmed by the different options, and you may be unsure of whether energy efficient shingle installation will help you save money over the long run. At M&J Roofing and Exteriors, we understand that uncertainty can prevent you from making informed decisions. When you contact us, we will ensure that you fully understand the implications of installing energy efficient shingles. Our team of roofers is ready to assist you and has all the necessary skills, experience, and equipment to carry out a complete energy efficient roofing shingle installation. While delivering our comprehensive installation services, your convenience and requirements will be our highest priority. During the summer, if you want to live in a cooler home and want to lower your air conditioner’s running costs, contact M&J Roofing and Exteriors for a consultation. We will provide a free estimate on energy efficient shingle installation.